To design a home with two daughters in the fashion industry and a teenager son positively obsessed with origami is no mean task, for any interior designer. 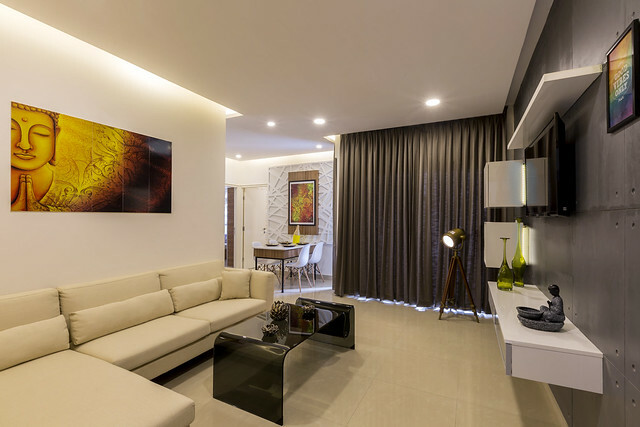 Amit Shastri has designed this 4-BHK contemporary apartment in Mumbai beautifully by accommodating the interests of all in the family, and a view of never-ending greenery to die for. 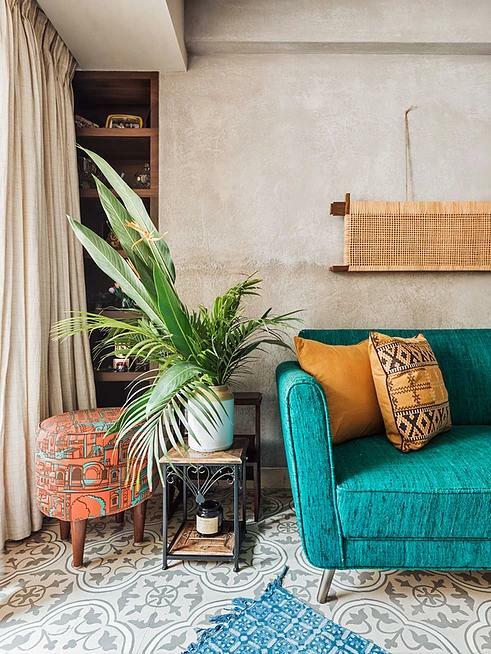 There are two key takeaways from this home: how to design a cosy home that is unique / a reflection of your interests, and how to plan for lighting at the beginning of your home’s interior design. 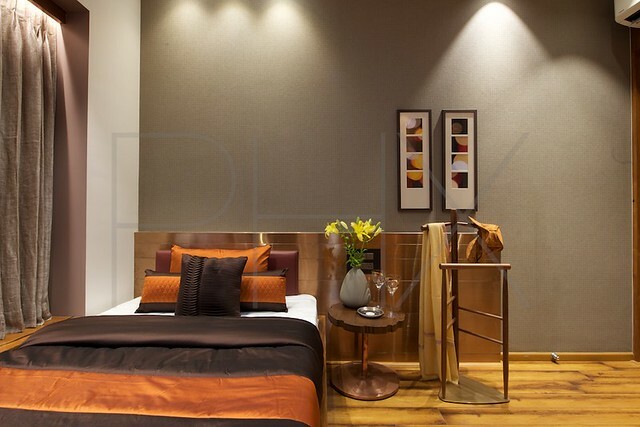 When we came in, the apartment was complete and needed to be styled only with furniture and embellishments. It faced the green view of Aarey Milk colony. But, we had a concept that worked on maximizing the view which needed us to demolish the current layout. It took us a bit of effort to convince the client to break the walls and start on a whole new layout, but he did see our point in the end. Have you ever seen someone make a dragon in Origami? It takes hours of practice, unwavering focus, skill, and deft fingers to get it right. I have; I’ve watched my son for days on end as crumpled paper at different stages of the dragon filled the bin, but he never gave up. The intersecting lines and patterns on the walls and ceilings of this house remind me of symmetry; to see the discipline and order in chaos. 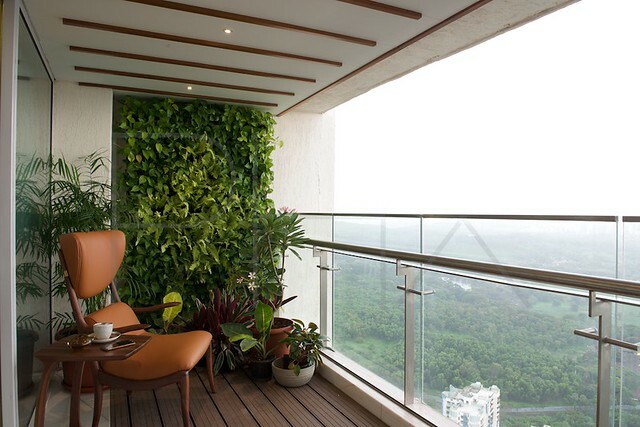 The living room with mushroom leather seating and dining with highlights of rust leather on chairs, wallpaper and niches inset with soft lighting celebrates the length of 25 feet balcony facing the panoramic green Aarey greens. 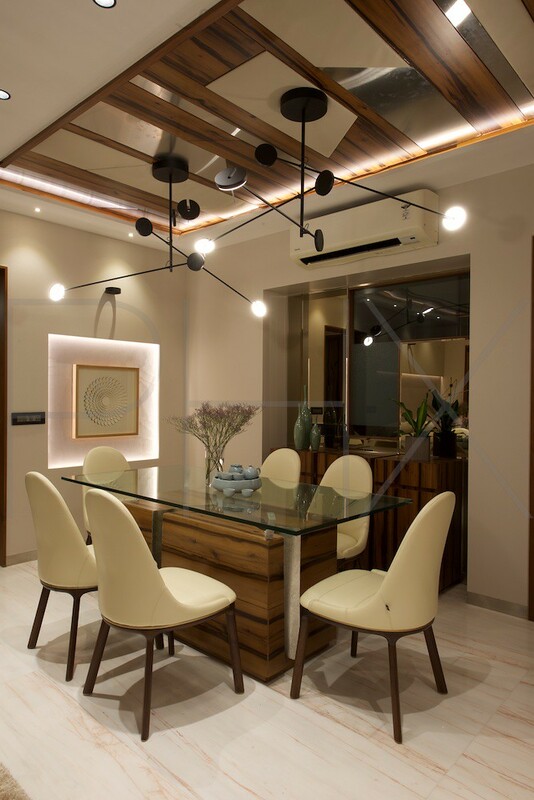 The dining space is dressed in wood, leather, steel and linear light to give it a luxurious feel. The master bedroom is predominantly in a demure neutral pantone. There are fewer materials than natural stone that bring in richness or texture. 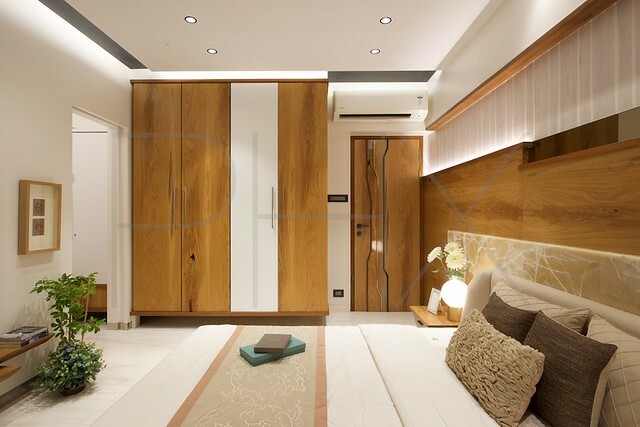 This innate quality of Onyx blends well in this softer tone bedroom. Elegant yet minimal: that’s the mantra of the bedroom. 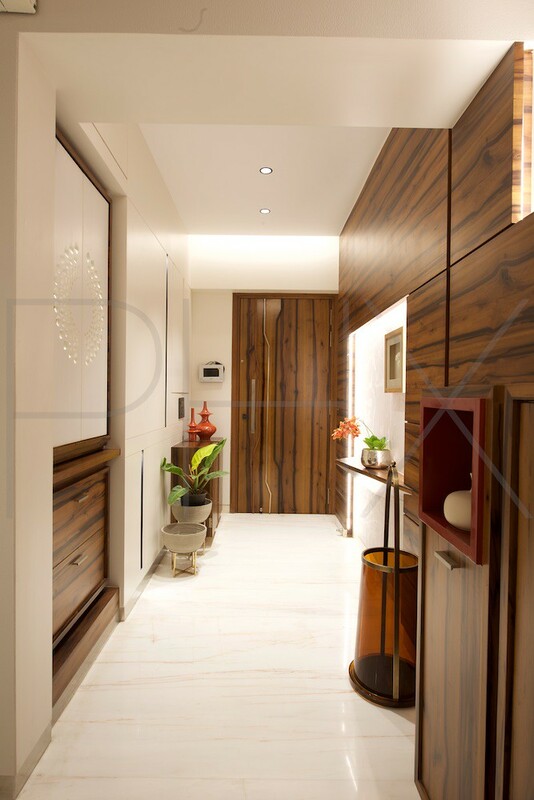 We have used lined wallpaper from that complements the mango onyx and cracked veneer headrest. 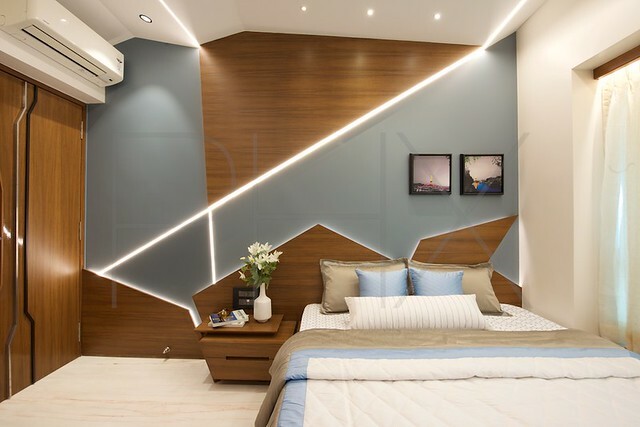 The bold youthful spirit of the son’s room is communicated through skewed lines embedded with strips of continuous LED lights. The origami-inspired ceiling and paneling in a combination of bluish grey and dyed oak wood complements this spirit of liveliness. 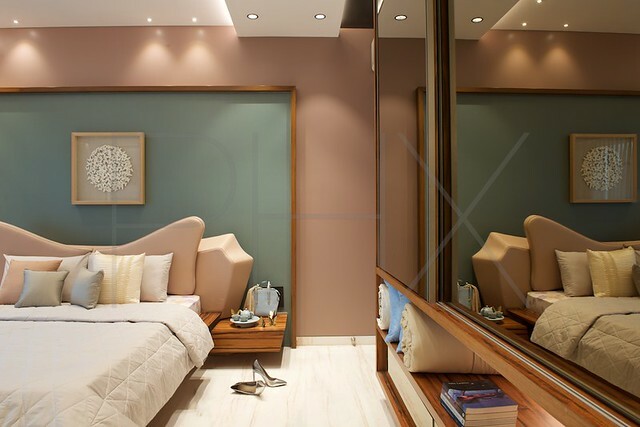 Folds of origami in the ceiling and skewed lines infuse the study corner in the son’s bedroom with vibrance, while the strategic installation of a large mirror attributes it with snug exclusivity. This bedroom in pastel tone and a winged headboard belong to the younger daughter. She is a budding fashion designer and model. The room is such a contrast to the origami inspired bedroom. But, it doesn’t look quite out of space because the pastel colors transition seamlessly. That large smoked mirror wardrobe is to die for with an innovative solution for storage needs for all a girl has: shoes, bags, accessories and oodles of style. The elder daughter’s room adorns a rustic charm with wood and metal. Copper sheet backdrop and Corbusier Dot series wallpaper complement the solid wooden side tables with copper base to highlight this elegance. 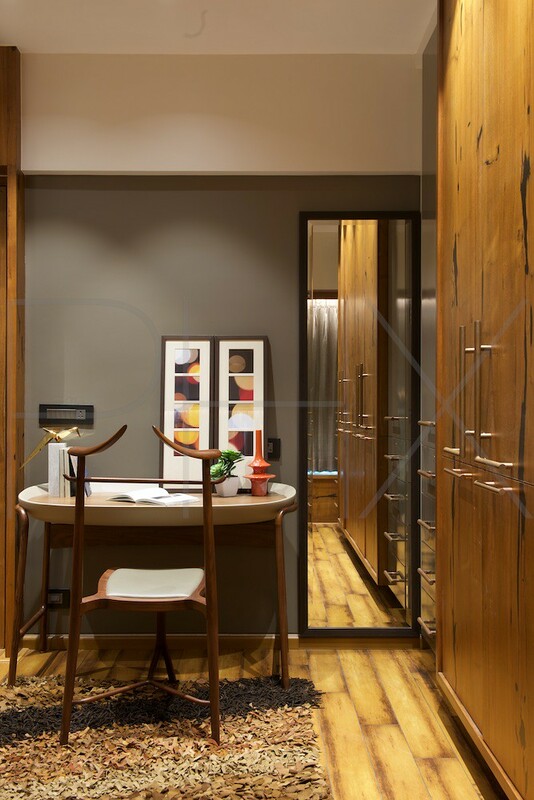 A leather writing desk, leather carpet, and a chair from Cecco add sleek grace, while the wardrobe with cracked wooden door, solid copper handles complements the design. 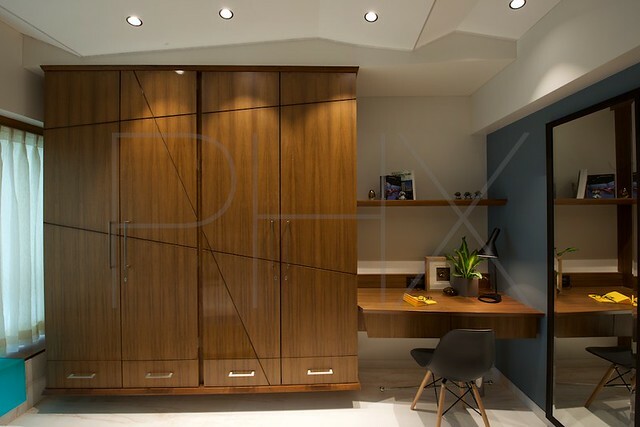 I learned the hard way when doing up our home that lighting is as integral to a home’s design as the material and color you choose for paneling, wardrobes or walls. Leave this important part of the puzzle till the last, and you will always have an unfinished jigsaw. 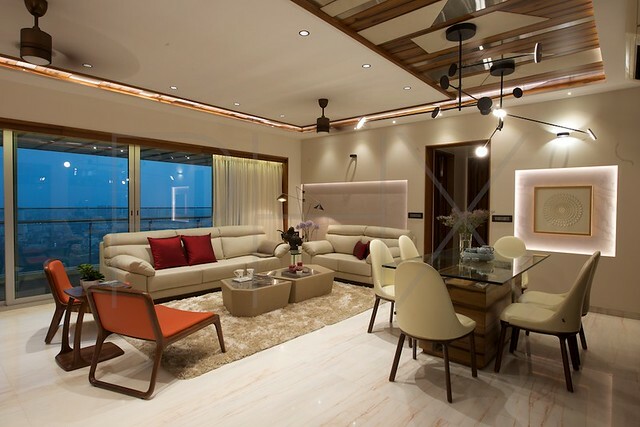 Amit advises to earmark at least 10-15% of the total budget towards lighting.